JAY-Z has already released two visual from 4:44 for ‘The Story Of O.J.‘ and the title track. They’ve both been outside the box from what we’d have expected and have both been followed by footnotes where figures like Kendrick Lamar, Chris Rock, Young Guru, Will Smith and many, many more talk about the topics of the music. 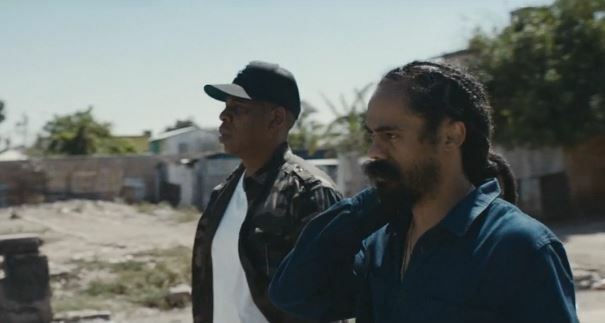 Today Hov releases a video for ‘Bam’ which features Damian Marley and was the clear single choice. This is the first video JAY has actually appeared in. The pair visit Trenchtown and discuss things between shots. Check it out below.